Mark Walker is frequently invited as a guest real estate expert on popular podcasts and radio shows across the country. Listen in to any of them below. And, if this is how you learned about Luxmana Investments, you can claim your free gift from the show page as well. Daray is a former big-4 accountant turned real estate investor. In addition to hosting a podcast, Daray consults for a 26 Billion dollar fund manager and analyzes complex investments for the benefit of the funds investors. He and Mark talk about how to get started and find success as a real estate investor. Lane Kawaoka is a multifamily syndicator and owns properties in Houston, San Antonio and Oklahoma City. His podcast is dedicated to educating the "shrinking middle class" about real estate as an alternate to traditional investments like those found on Wall Street. Take a listen as he interviews Mark, and they talk real estate. Diogo Marques is an investor, entrepreneur, athlete and computer programmer living in Portugal. His passion for investing has led him to host The Greatest Investors Podcast. Listen in as he interviews Mark. Joshua Smith is a serial entrepreneur and top realtor. Seriously, he's ranked in the top 1% of realtors worldwide, so this guy knows how to get stuff done! In this interview, Mark opens up about the good, the bad, and the ugly when it comes to getting started in real estate investing. In addition to helping over 3,000 families as a top producing agent, Marguerite Crespillo has coached, trained and mentored hundreds of people in the real estate industry throughout her 20+ year career. Listen in as she interviews Mark. Cheval John is an Amazon Best-Selling author and owner of Vallano Media. His show––What's The Word?––is about finding out what inspires people to be successful in their respective careers. Mark shares his passion for real estate and what he used for inspiration each day to escape the rat race. J. Massey basically gives away current industry strategies by simply teaching what he does daily as a real estate practitioner. He also interviews other successful investors, such as Mark, to help people break through the clutter of learning real estate and become a successful entrepreneur. Aaron Watson hosts this forum for having meaningful, deep conversations about the passions, fears and problems of people from all walks of life. Listen in as he and Mark talk real estate, and Mark shares advice for any investor who wants to get started. Dan Breslin is president of Diamond Equity Investments, which averages 25 deals per month in Philadelphia, New Jersey, Chicago, Atlanta, Florida, Maryland and Colorado. As a podcast host, he interviews the top minds in the real estate industry. He and Mark discuss the importance of waiting for the right deal and ways to unlock value for massive returns. Stephen is host of the Onward Nation podcast, CEO of Predictive ROI, and a digital marketing authority, speaker, educator, and bestselling author. Mark talks about some of the healthy habits he's developed, which he strongly believes has aided him in his success. How to Lose Money is a podcast dedicated to the honest, sometimes gut-wrenching stories of business and life lessons learned. Mark opens up to Paul and Josh about the hard lesson he learned in real estate more than a decade ago. Matt Nusbaum talks to successful real estate investors who began investing while working full-time in the corporate world. Listen in as Mark describes how he began investing in 2004, kicked it into high gear in 2010, and achieved financial freedom and quit his corporate job a few years later. The Old Dawg Real Estate Investors Network, founded by Bill Manassero, is a unique community of real estate investors, 50 years of age and older, who are motivated to learn and succeed in their real estate investing. Mark had the pleasure of "howling" on the show while sharing how to choose the best property manager. Ty Crandall is an internationally known speaker, author, and business credit expert. He has become the authority in business credit building, credit scoring, and repair. Mark shares with Ty why he loves investing in multifamily and how a new investor can get started. Brent and Dillon reside in Colorado, and are loan consultants at New American Funding. Brent is also an investor and does short-term rentals through Air BnB, which he finds to be a lucrative and enriching experience. Listen in to their face-to-face interview with Mark as they discuss the Colorado real estate market. Tyler Sheff is a successful full-time investor, and now he teaches others to achieve similar results and escape the rat race. In this interview, Mark tells how he was able to quickly build equity in his properties by raising the net operating income using creative ways and simply raising the rent. Jessica Rhodes rocks the podcast world from both sides of the mic. 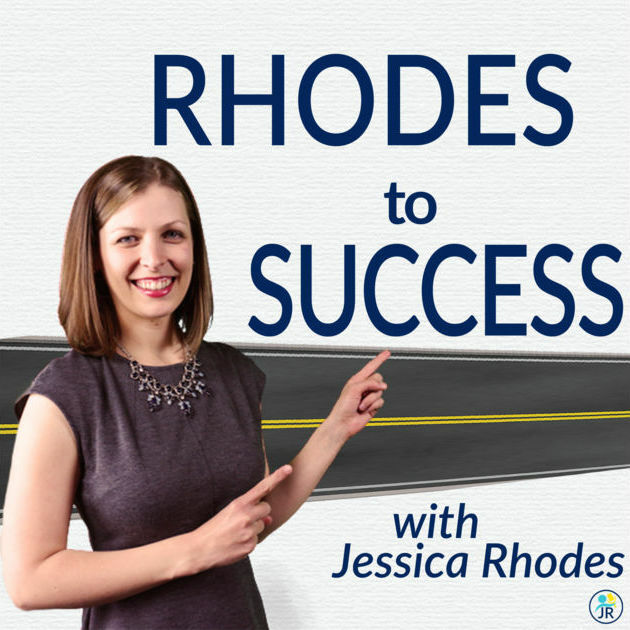 As the CEO of Interview Connections and host of Rhodes to Success, she shows entrepreneurs how to integrate podcasts into their marketing mix and reach their target audience. Listen in as Mark and Jessica compare notes on their podcast success. Robert Plank is an online business coach who has transformed several $2,000 per month businesses into $30,000 per month powerhouses with just a few simple tweaks. As a guest on Robert's show, Mark talks about discipline, lifestyle, decision-making, priorities and inspiration––which are all important considerations if you desire to escape the rat race. Ken Corsini is a full-time real estate investor who lives in Atlanta, GA with his wife and 3 children. Ken founded Georgia Residential Partners in 2005 and since that time has bought and sold over 500 properties. Tune in to this episode to hear Mark talk on the 3 Building Blocks to becoming a multi-family investor. Jonathan and Thomas are techno geeks, real estate industry experts and creative whizzes who help their clients get real results from their email marketing and online presence. Mark discusses with them what an investor should look for in a real estate agent professional. Jake and Gino are both experts in multifamily real estate investing and have achieved, in just a few years, the sort of financial freedom they always wanted but weren’t sure was possible. Listen in as Mark discusses his building blocks for becoming a multifamily investor with Jake and Gino. Mark Ferguson manages a real estate team of 9, owns 16 rentals and has completed over 120 flips. Though they both live and invest in Colorado, Mark Walker explains how he started in real estate and why he now invests out-of-state in Texas. Holly is an entrepreneur in the fix-and-flip market, and she has completed over 200 projects in the last 10 years. Mark reminisces with Holly about his first deal having a 36.5% cash-on-cash return, and what came after that. Michael Quarles is a driven entrepreneur and flipper who did his first real estate deal at the age of 18, and he has since created six businesses. Though Mark and Michael have success in real estate different ways, Mark explains why he chose the passive income path and why he loves multifamily. With 90,000+ listens per show, the BiggerPockets Podcast has become one of the most listened to in the industry. Mark shares with Joshua and Brandon how he quit his job with residential rental properties, then went on to acquirement large apartments. Michael Blank has been investing in real estate since 2005 and now focuses on helping people become better entrepreneurs, especially through apartment building investing. During this interview, Mark recalls the day he decided to "escape the rat race" and the mental battles he had to overcome when he did it. Jordan E. Goodman is “America’s Money Answers Man” and a nationally-recognized expert on personal finance. Mark was a special guest on his live radio show, and they discuss the benefits of investing in real estate and how someone can get started. Reed Goossens is an Australian native who moved to the US as a structural engineer, and is now a successful real estate entrepreneur. Listen in as Mark tells Reed how he made the transition from part-time to full-time real estate investor. Pat Hiban is a New York Times International Best Selling Author, podcast host, entrepreneur, and billion dollar real estate agent. Mark shares his mindset and real estate investing journey with Pat, and they discuss how to break through goals. In addition to being the host of a highly successful podcast, Joe Fairless controls over $54M worth of real estate. Mark and Joe discuss multifamily, and Mark shares how he rolled his CapEx investments into his loan and boosted his cash-on-cash return. Engel Jones is financial advisor and podcast host with the goal to set the Guinness World Record for the most podcast interviews within three months. Mark and Engel discuss the importance of learning from our mistakes. Rod Khleif is a passionate real estate investor who has personally owned and managed over 2000 apartments and homes and built several successful multi-million dollar businesses. Mark and Rod discuss how to transition from single family to multifamily investments and much more. Kevin Bupp has been an entrepreneur all of his life. Today, he has more than $40M of transactions under his belt, and he freely shares his knowledge with listeners of his highly popular podcast. Listen in as he asks Mark how he escaped the corporate rat race and what he has learned along the way.